This year’s Annual Awards Program was held on Friday, September 2, 2016 at 3 p.m. in the Pegasus Ballroom. 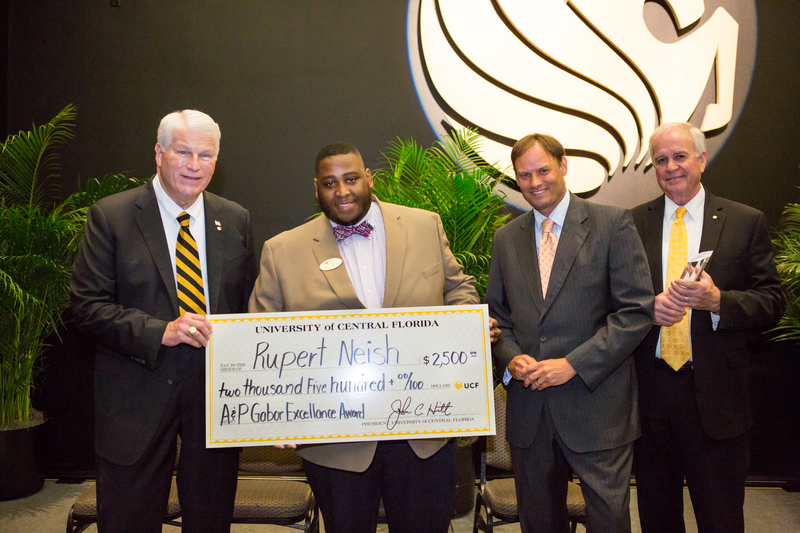 Lindell Jones from the UCF Creative School for Children was honored as USPS Employee of the Year and the A&P Gabor Excellence Award was awarded to Rupert Neish of the Legal Studies Department. Both were awarded checks for $2,500 and free parking decals. Click below to see a complete list of 2015-16 award recipients and nominees.